Delight in the romance of China’s breathtaking natural wonders and historical attractions on this 15-day China Explorer Tour. See the majestic Great Wall of China, Tiananmen Square and the mysterious Terracotta Warriors. Explore the multi-coloured lakes of the Nine Village Valley in Sichuan, walk along the centuries old layers of rice terraces carved along the mountain side in Longsheng and indulge in a cruise along the tranquil Li River. Take an immersive odyssey along the Yangtze River on a three-night cruise along China’s famous waterway. Get an up-close view of the dramatic Three Gorges, go ashore to see the jaw-dropping dam and encounter the unique customs of the people living on the river’s edge. Upon your arrival in Beijing, you will be met by your local guide, an Asia Senses Travel representative before making your way to your hotel. Later, depending on the time of arrival, venture through Wangfujing, Beijing’s bustling market district. Browse hundreds of colourful stalls before heading to Donghuamen Market, crammed with vendors hawking everything from giant centipedes to cooked seahorses on skewers. Head back to your hotel and overnight in Beijing. 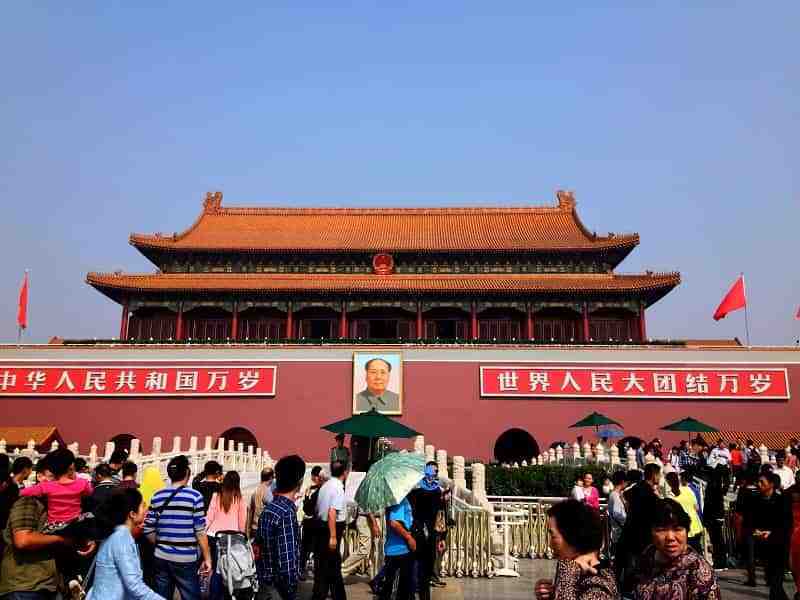 In the morning, take a stroll around Tiananmen Square, one of the largest public squares in the world and among the most well-known historical sites in China. Continue on to the Forbidden City, the ancient seat of Chinese political power for almost 500 years and once home to China’s last ruling dynasty until the fall of the Empire in 1911. Explore its serene courtyards and its stately rooms before climbing the artificial coal hill behind it for spectacular views of Beijing’s sprawling skyline. *Note: Forbidden City is closed on Mondays, except July and Aug. Access to for Forbidden City is limited to 80,000 visitors/day. Passport copies must be provided at least 11 days in advance to assure a successful booking; it will not be possible to modify this date later on. Visitors are required to bring their passport for security check upon their visit to the monument. After breakfast, journey to the Mutianyu section of the Great Wall of China to experience one of the world’s most spectacular sights. Despite an early morning wake up, this is by far the best time of the day for photographs. Enjoy amazing views of the surrounding landscape as you scale the iconic walls spanning over 6,000 kilometers, from Ancient Manchuria to the Gobi Desert in the west, dotted with tall watchtowers along the way. Hike along the wall’s high ridges and explore its ancient watchtowers, dating back more than 2000 years. After your hike, there may also be an opportunity to settle down for a picnic lunch on the Great Wall, while savouring superb views of the countryside. If you’re feeling adventurous, glide down the wall on a toboggan or see more of this section by cable car. For those who aren’t keen on a hike back down, there is an alternative option for descending via cable car or if you’re feeling adventurous, glide down the wall on a toboggan. In the afternoon, head back to Beijing to visit the Summer Palace, entirely renovated by Emperor Qianlong as a gift to his mother in the 18th century. Harmonious in nature, a variety of traditional Chinese temples, pavilions, lakes and gardens comprise the Palace. Wander through the tranquil grounds where imperial staff would flee from the stifling rooms of the Forbidden City during summer. Grab a refreshing beverage in the shady grounds before wandering through its famous pavilions and scenic lakes, including Kunming Lake and the Seventeen-Arch Bridge. Head over to the intricately carved Marble Boat before hiking to the top of Longevity Hill for panoramic views of the complex. After the palace visits, transfer will be provided back to the city for an evening at the hotel. 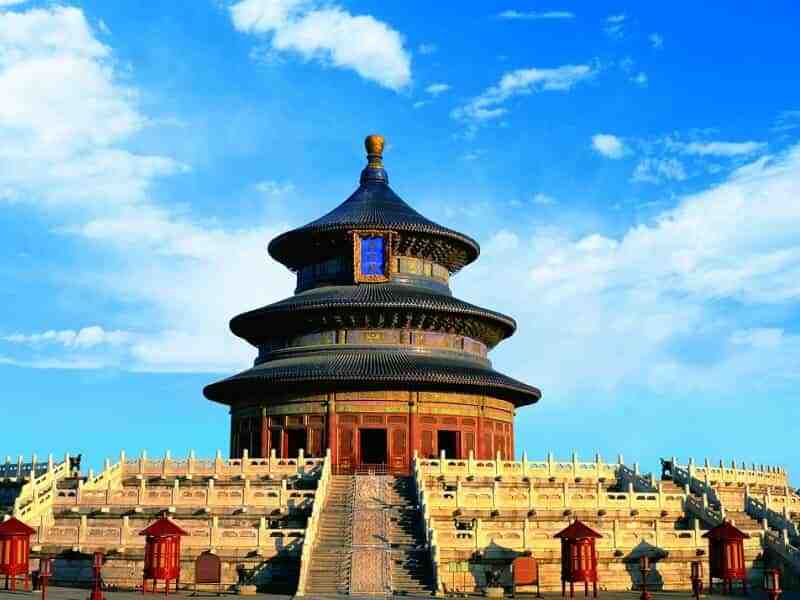 Begin Day 4 of this China Explorer Tour with a visit to the Temple of Heaven, a 15th century architectural masterpiece and UNESCO World Heritage Site. Study its intricate design and stately prayer rooms before heading over to the magnificent imperial altar, once reserved for emperors to pray for good harvests. Surrounding grounds, you can gain some unique insight into daily Chinese activity. From Tai Qi, Kung Fu and sabre practice to meditation, tango, and physical exercise is considered an essential daily start for the Chinese. Continue the temple encounters with a visit to the White Cloud Temple, where Taoist monks still wear their hair in a traditional style. Visitors come here to rub sculptures representing the 12 signs of the Chinese zodiac. If time allows, there will also be a chance to visit the Beijing Mosque, a symbol of the expansion of Muslim merchants from Central Asia throughout China. Lunch will be had around noon; a vegetarian meal located in the in the downtown section of the city. Begin the Xian city tour today. Being the capital of the Empire three times, Xi’an played an integral role in the history of the country. 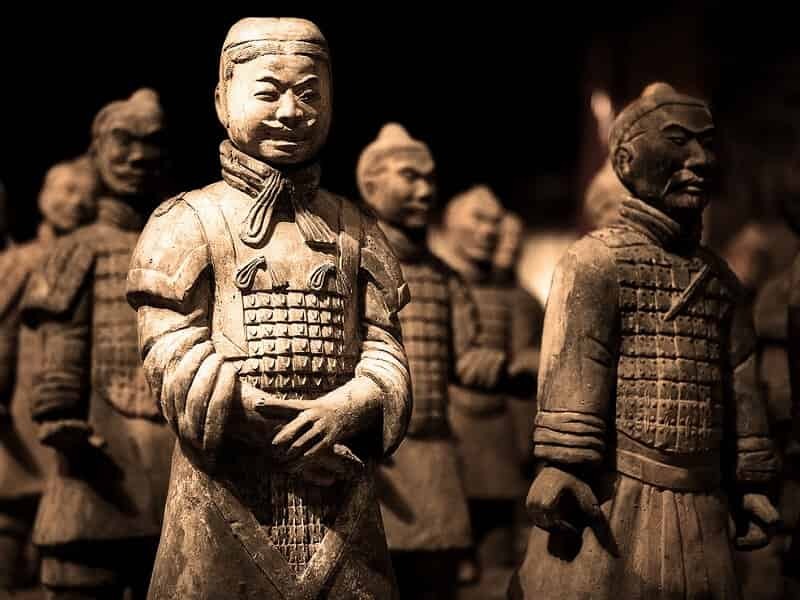 Visit the famous Terracotta Warriors buried with the First Qin Emperor over 2,000 years ago. No China Explorer trip is complete without seeing them. Hear about its accidental discovery by a local farmer before wandering around its earthen pits. The most astonishing fact about the warriors is every single one has a different face from a soldier during the Emperor’s life! Wander around its three different earthen pits to view the statues. Grab a souvenir from the museum before embarking on a one-hour of cycling (or, for an additional charge, cart tour) along Xi’an’s old city wall. One of the highlights of the tour is to pedal alongside one of the oldest fortified walls in China, built during the Ming Dynasty. Later, pay a visit to the city mosque in the town centre then explore part of Xi’an’s Islamic background. During the day of the ancient Silk Road, Muslim merchants from Central Asia travelled to China to do business, leaving behind their influence in Xi’an. Several Muslim minorities (totaling 15 million inhabitants) now live in China- the Hui minority being predominant in Xi’an. Take a stroll around the Muslim district of the city and browse its eclectic boutiques and butcher shops. Alternatively, head to the Giant Wild Goose Pagoda (Dayanta), one of the most significant Buddhism sites in China and one of the oldest structures in the country. After breakfast, a transport is provided to the airport for your flight to the otherworldly region of Jiuzhaigou, known as the “Nine Village Valley,” tucked away in the north of Sichuan province. Located on the edge of the Tibetan Plateau, this gorgeous nature reserve plays host to a spectacular sight of cascading waterfalls, snow-capped peaks and multi-coloured lakes. Previously one of China’s best kept secrets, this vibrant national park welcomes more and more visitors each year. 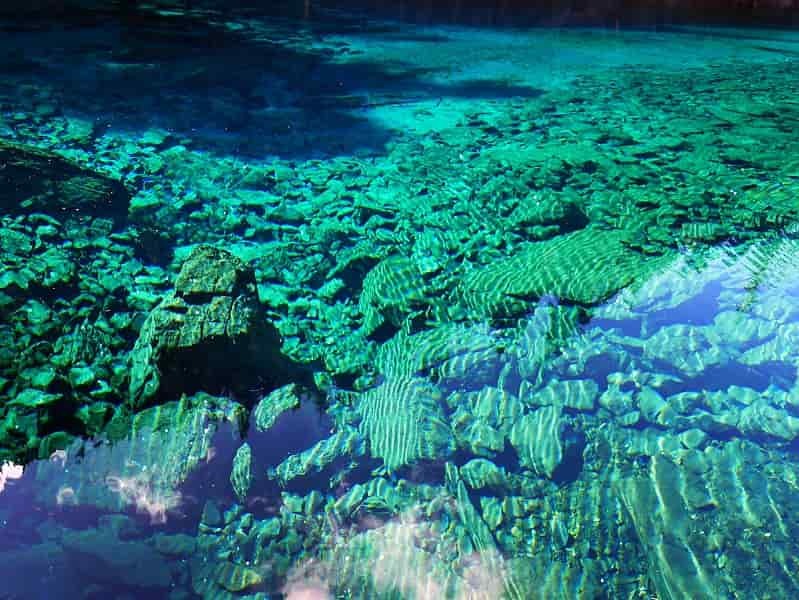 Explore Jiuzhaigou on a full day tour at its northern tip of Sichuan province. Venture down this hilly peak to the turquoise-coloured waters of the Nuorilang Lakes, a series of 19 ribbon lakes forged by the passage of ancient glaciers. Later, stroll leisurely through lush forest gullies down to the catchment of the Sleeping Dragon Lake. Head over to the south western corner of the park, and gaze upon the towering pine trees of the Primeval Forest and the tranquil waters of Swan and Mirror lakes. In the afternoon, continue to the south eastern quadrant of the reserve, Ze Cha Wa, before climbing the peaks of the rolling hills of the Ri Ze valley. After reaching the peak of the highest summit, finish your visit with a stunning drive down to the ethereal waters of the Five-Colour Pond and the Seasonal Lakes. Take one last photo of this magical landscape before journeying back to the hotel. Begin the day with a trip to the Huanglong in northeast Sichuan and at the southern base of the spectacular Minshan mountain range. Take a stroll around its colourful ponds before hiking through some of its dense forests, home to some of China’s endangered animal species. In the afternoon, depart to Jiuzhaigou airport for your flight to Chengdu. The capital of the Sichuan province and ancient capital of the powerful Shu Kingdom, Chengdu has held the same name for over two millennia- a testament to its longevity and regional importance. Upon arrival, meet with your guide before making your way to your hotel before taking a stroll around the city’s vibrant streets. Kick back with some free time before heading to the Jin Li Old Town. 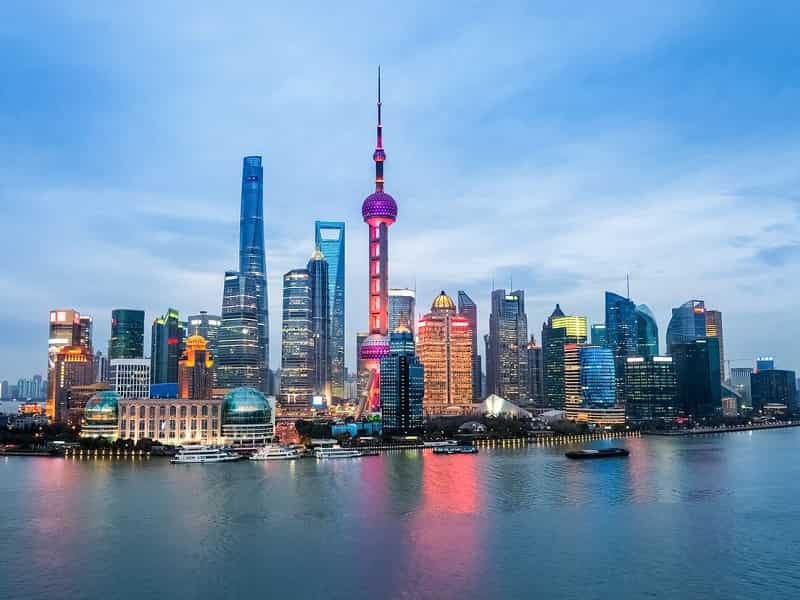 Experience China’s oldest commercial district, dating back to the Ming and Qing dynasties and home to an eclectic mix of restaurants and bars housed in ancient Chinese buildings. This Sichuan tour will also provide excellent opportunities to try some of the specialties of the region (Sichuan cooking being one of the country’s eight major strands) and its famous food culture… known particularly for its spice! In the evening, sample mapo doufu, a traditional Sichuanese dish comprising of fresh tofu, minced beef and soy served in a sauce of garlic, peppered oil and Sichuan peppercorns. For those who can’t handle the heat, make sure to speak up ahead of time! 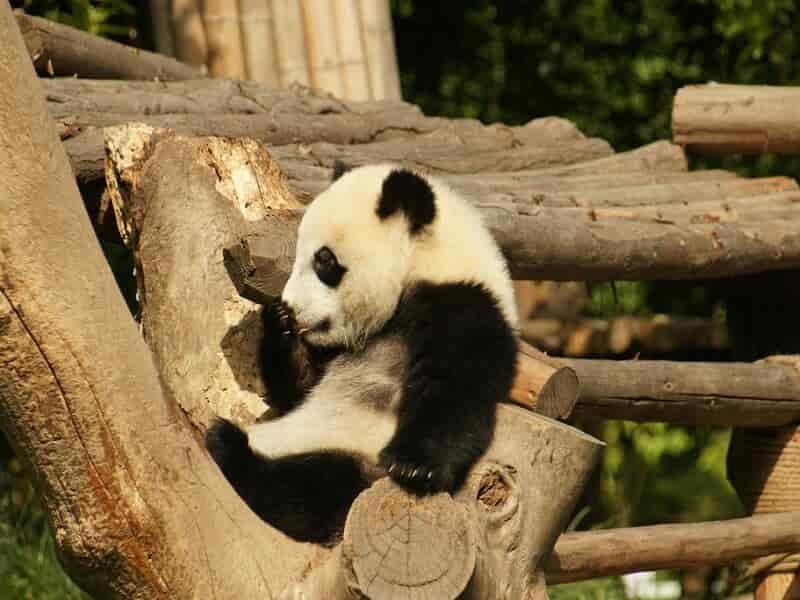 In the morning, visit the the Panda Conservation Centre and observe the panda, China’s cuddly national icon lazing about in custom made enclosures. A world-class research facility and conservation centre, the Panda Centre is also a primary destination to get a closer look at these endangered bears. 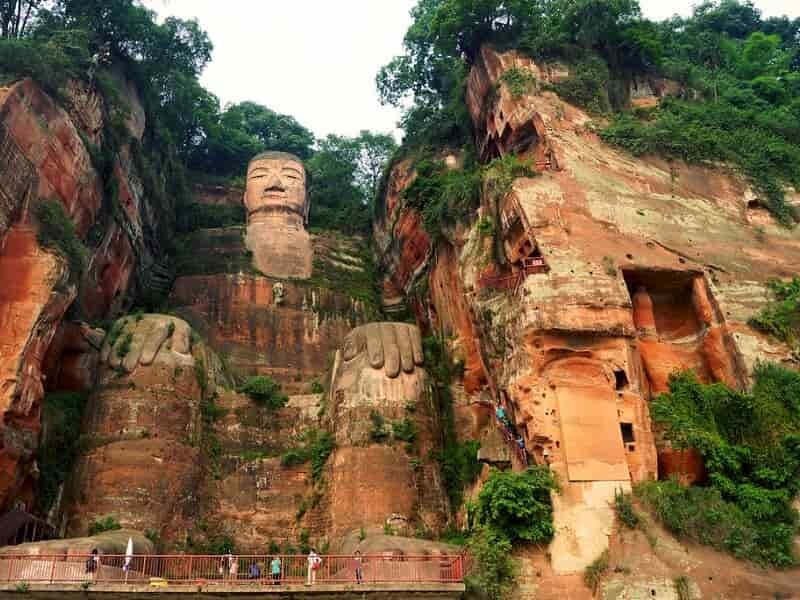 After your visit, journey to Leshan, and board a river cruise to the famous Giant Buddha – the largest stone Buddha in the world. This Buddha was carved into the side of the stone cliff face more than 1200 years ago, at the confluence of the Minjiang, Dadu and Quingyi rivers. The Giant Buddha, as it is commonly known, measures in at 71m (231ft) high and 28m (92ft) wide – truly a stone giant! Stairs run across the length of the Buddha, which enable close-up appreciation of its grand features. Take a pleasant walk through the Oriental Buddha Park, dotted with small temples, thousands of small statues, and the gargantuan reclining Buddha - one of the most impressive in the world. Grab a photo with the backdrop of E’meishan (Mount Emei) before moving on to E’meishan. After breakfast, ride a cable car up to the Golden Summit of Mount E’mei, one of four Sacred Buddhist Mountains in China, and is still considered a major place of pilgrimage. Over 3,000 meters above sea level, the peak has spectacular views forged by volcanic eruptions millions of years ago. Head with the guide (by bus) to the Baoguo Temple. Located outside the heart of a beautiful garden, the temple is known for its porcelain Buddha, made in the famous imperial furnaces of Jingdezhen. Transfer by bus then cable-car to the Wannian Temple. Soak in the bronze statue of Puxian on a white elephant, weighing in at more than 62 tonnes! Continue by bus and cable-car to the Jinding Temple. Admire not only the majestic golden palace, but also the stunning views of Wanfo peak. At 3099 meters (10,167ft), the mountain towers over the entire site. *Note: Good shoes are recommended for the hike. Please do not feed the macaques or carry anything that resembles food- they are known to be quite fearless with humans! As you leisurely hike down, stop at one of the stalls and grab a wooden souvenir carved by local craftsmen before heading back to your hotel. It’s also recommend to take a walk back from Wannian Temple (4km/2.5 miles) arriving at the Qingyin Pavilion (or Pavilion of Pure Sound). Wrap up the evening with a famous Sichuan Hotpot, a much spicier version of hotpot than found in other parts of China! Begin the China Explorer Tour today with a relaxed drive to the quaint city of Dazu, located in the south east of Sichuan province. Walk along the steep hillside of Dazu where you’ll see various rock carvings. These 9th to 13th century carvings depict a variety of subject matter and include Buddhist, Taoist and Confucian themes. Hike up to Longevity Temple and admire the view of the carvings in the valley below. In the afternoon, make your way to Chongqing by car before embarking on a cruise down the Yangtze River. Begin the Yangtze River cruise boarding the cruise between 7-8pm from Chongqing pier. Settle into the cabin for an estimated departure around 10pm. For early risers, kick off the day with a 6AM Tai Chi session. Have breakfast around 7AM with a short welcome, orientation on the boat, and the cruising schedule briefing before stopping to gain some insights into the mysterious “Ghost City” city of Fengdu. Learn about the legend of two local civil servants who became diligent adherents to the teachings and practices of Taoism, ultimately obtaining the status of ‘immortals.’ Also take note of the arresting sculptures in the temples on Mingshan Mountain, accessible by foot or cable-car. Flooded in 2009 by the rising waters caused by the Three Gorges Dam project, the town is now located on the other bank of the river. After lunch, the second stop on the Yangtze river cruise is anticipated for around 2pm: Shibaozhai (precious stone fortress): an impressive 56 metre high, 12-floor wooden pagoda, built during the Qing Dynasty, sitting imposingly over a steep cliff. The boat leaves at 4pm and dinner will be served at 6pm, accompanied by a talk from the captain. 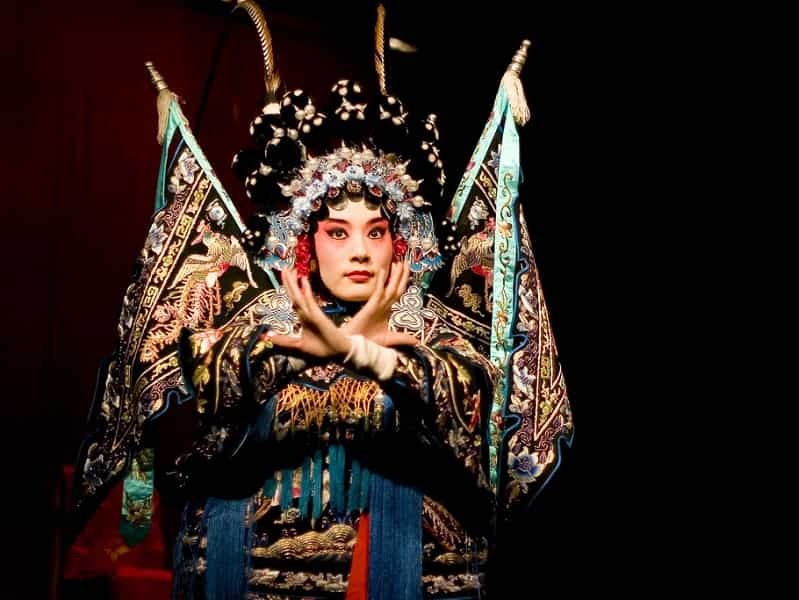 From 8pm on, take advantage of the very extensive list of activities available during the cruise: singing, dancing, traditional clothing displays, tea ceremonies, and reflexology (must be booked in advance), a games room, and much more. For those who would prefer some relaxation, enjoy some down time in the cabin quarters, watch a film, or make use of the on-board library featuring works on Chinese culture, medicine, calligraphy, and painting. 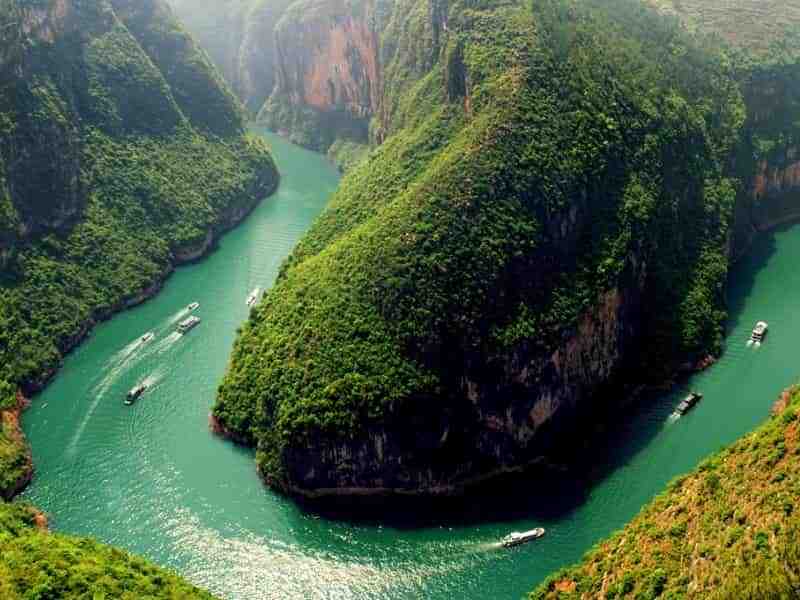 Day 3 of the Yangtze River cruise marks the visit to the region’s iconic Three Gorges. Arrive at Qutang Gorge, the shortest (8km) and narrowest amongst the gorges, but equally the most spectacular, with its breathtaking high peaks over 1200 metres (3900 feet) high. The entrance to the gorge, nicknamed Kuimen, used to be considered the most dangerous pass in the world. The passage through the second gorge should begin at around 10:30am. The Wu Gorge, the deepest of the three, stretches over around 40km (25 miles) and is bordered by 12 majestic peaks. 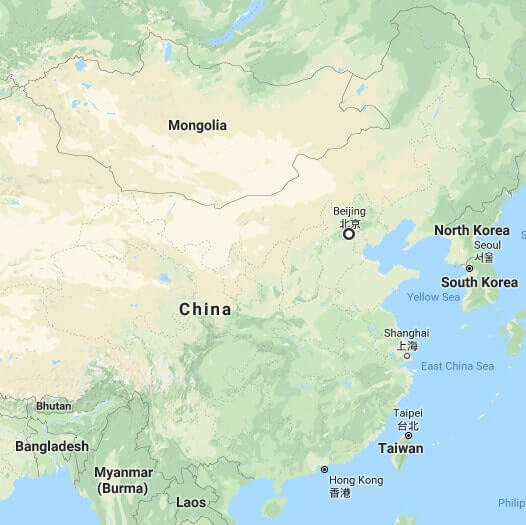 After lunch we will make a stop to change vessels in order to sail up the Shennong River, one of the Yangtze’s tributaries (1pm to 5pm). On this stretch of the cruise you can enjoy its calm, well-preserved shores, while being soothed by the chants of the Tujia people, still populous in the region (today numbering around 8 million). This is also the perfect opportunity to see “Cliff Coffins”, an ancient practice attributed to the Bo people, cousins of the Tujia. Back on the cruise, enter into the west part of the Xiling Gorge, the final and longest gorge (around 80km/50 miles). During the journey, pay a visit to the Huangting Temple, a stunning structure built during the period of the Three Kingdoms. A goodbye dinner will be served at 6PM; enjoy a final evening meal while passing through the gorge, finishing around 7PM. Although not as beautiful as the first two gorges, it is nonetheless an excellent place to view Chinese river commerce. Arrive at the Three Gorges Dam at around 8PM. After the breakfast, visit to the Three Gorges Dam, a gigantic project that began in 1994 and was completed in 2009. The dam splits the Xiling Gorge in two: at 2.3km (1.5 miles) in length, over 185 metres (600 feet) high, 18 metres (60ft) wide at the top and 130 metres (425ft) at the base, the dam creates an immense reservoir over 600km (370 miles) in length! The “world’s biggest barrage” currently generates a massive quantity of hydroelectricity (over 2 million watts, accounting for around 10% of China’s total capacity) and increases the navigability between the coast and the interior of the country. Wrap up the China Explorer Tour with a transfer to the airport for your return flight home. If you are going to continue travelling other Asian countries, please consult with us about your plans.